Recently, we worked with the Asset-Based Community Development Institute (ABCD) and the Institute for Museum and Library Services (IMLS) to record their recipe for community change. 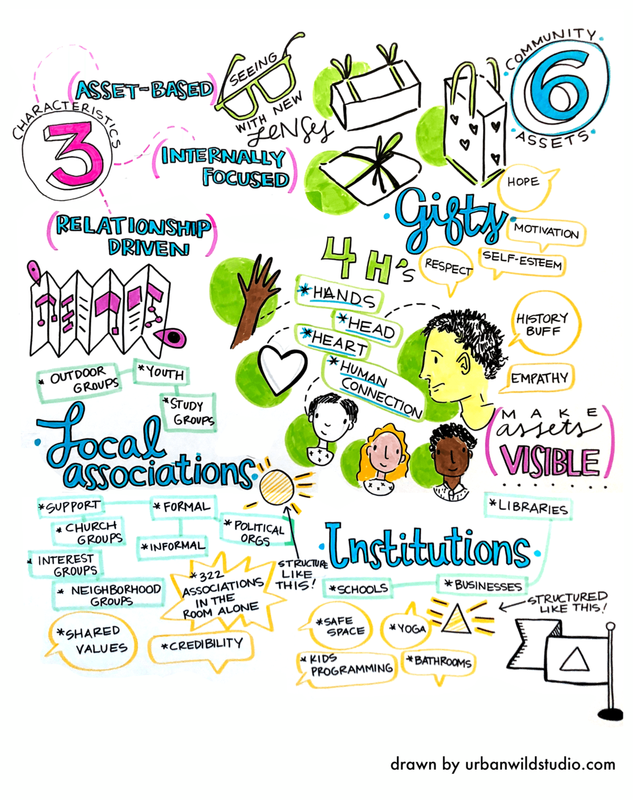 The event was an Community Catalyst Initiative in-person gathering, part of an overall effort by IMLS and its grantees to offer resources to help transform the connections libraries and museums have with their communities. At the event, ABCD and IMLS laid out their framework for catalyzing community change to a small group of grant recipients. ABCD planned that the event would be interactive, to allow for organic learnings and responses – and they invited us to capture it all in a lasting reference. "Phenomenal group! Excellent service, loved working with them, totally amplified the impact of our workshop on community development!" Like what you see? We work with organizations of all sizes, across industries, at all kinds of events large and small. Reach out to start a conversation about your event! 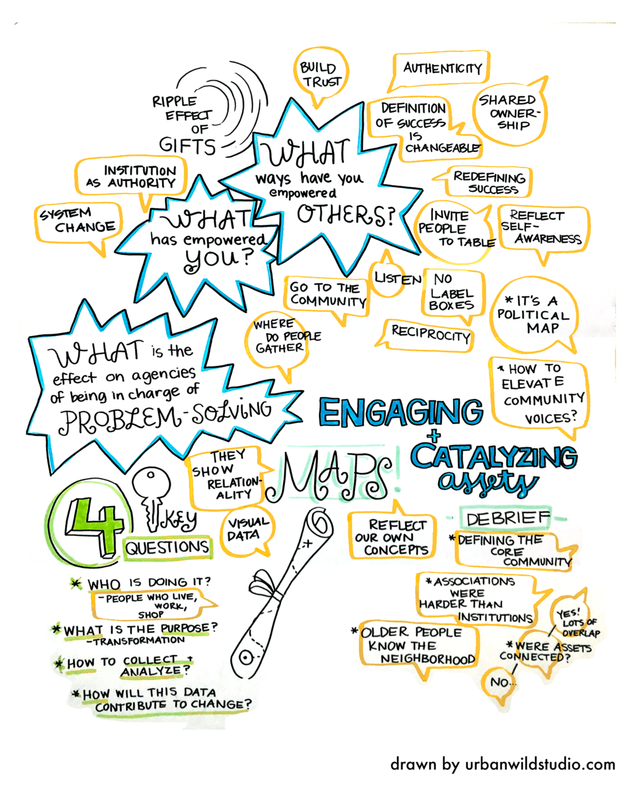 What Is Graphic Recording and Why Is It Valuable?